Made with whiskey, sweet vermouth, and bitters, this classic Manhattan Drink is the ultimate libation for any dinner or cocktail party! If you’re a lover of whiskey, rye or bourbon, you most definitely need to know how to make a Manhattan cocktail. Another great crowd pleaser is our make-ahead Sangria recipe. This Manhattan mixed drink recipe is made with just a few simple ingredients – whiskey, sweet vermouth, and a dash of Angostura bitters. 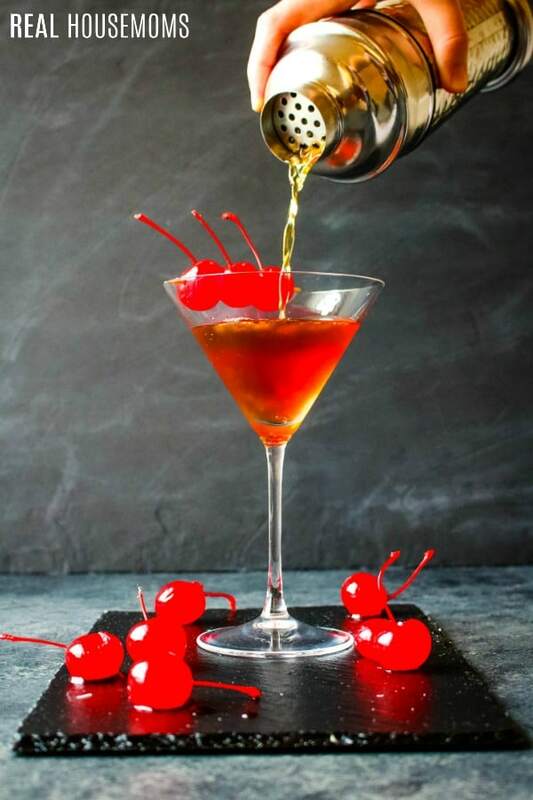 Maraschino or brandied cherries are the traditional garnish that adds an extra bit of sweetness that is the perfect compliment to this cocktail. 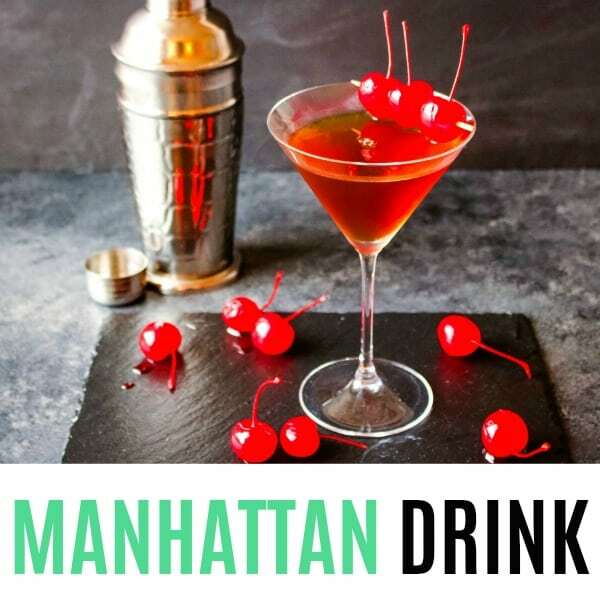 What is a Manhattan Drink? 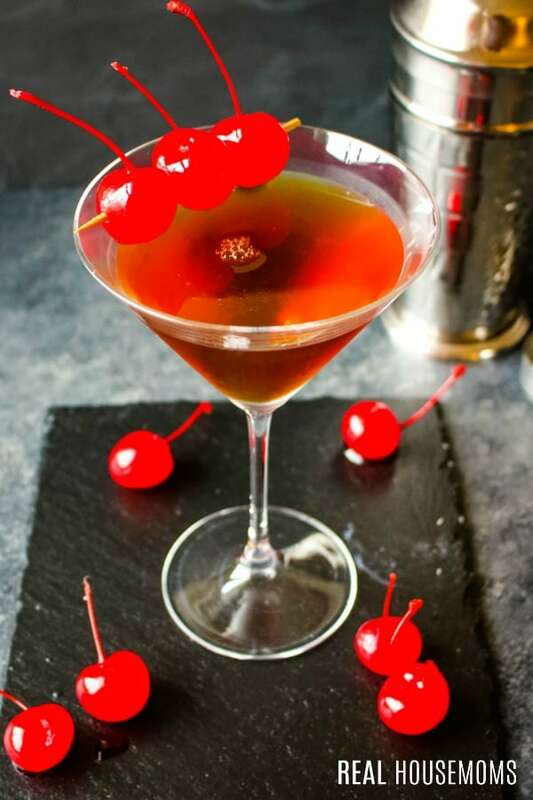 Many think the classic Manhattan drink recipe originated in New York City, at The Manhattan Club in the early 1870’s. 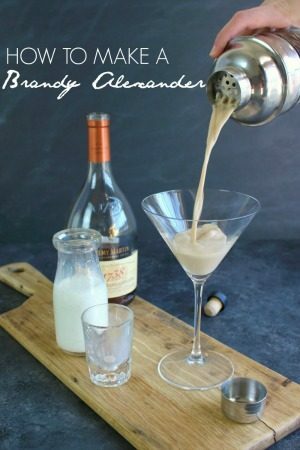 Lady Randolph Churchill (mother of Winston), had hosted a banquet at the Manhattan club, and this whiskey based cocktail was the drink of her choosing to serve to her guests. The success of the banquet made the drink very fashionable and guests later began to order the cocktail based on the club where the swanky party took place. What’s in a Manhattan drink? As the cocktail evolved over the years, the base liquor of the drink is now often made with either whiskey, rye or bourbon. As far as the vermouth is concerned, stick with sweet vermouth versus dry. Sweet vermouth adds extra depth and pairs well with the whiskey, rye or bourbon. Angostura is the classic choice for bitters, but you could also go with orange bitters for a slightly different twist. 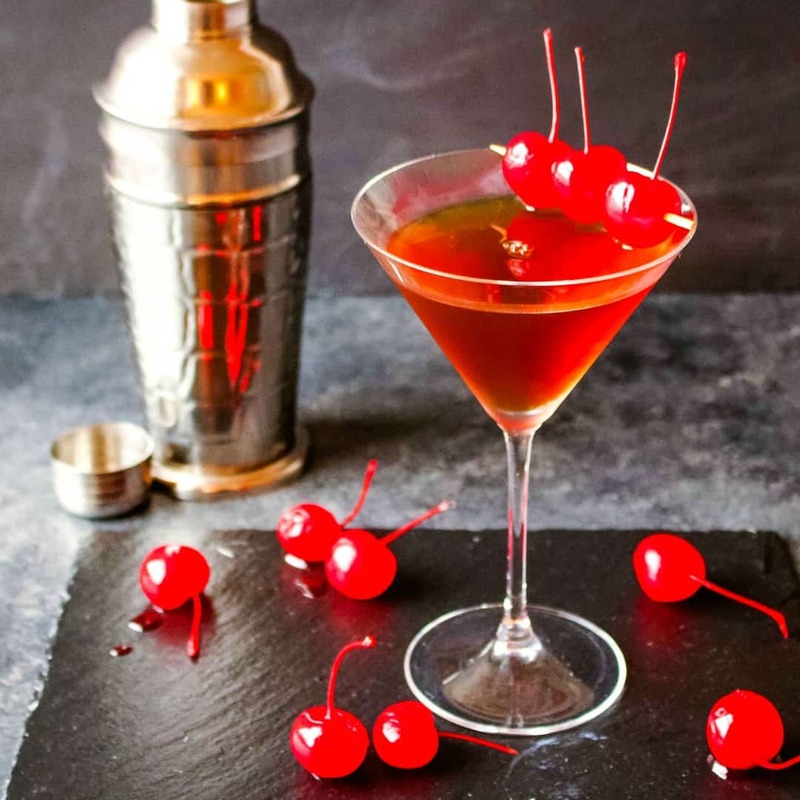 The classic garnish in crafting a Manhattan cocktail is either brandied or maraschino cherries. These add the perfect complimentary sweetness to the whiskey and add a beautiful red pop of color that is undeniably sophisticated. This drink is the perfect cocktail to have in hand while rubbing elbows at your next networking event or cocktail party. A cocktail or martini glass is the traditional vessel this drink is served in, however, it is not uncommon for this cocktail to appear in a champagne coupe or a rocks glass. Chilling the glass prior to serving is also ideal. To mix the cocktail, the ingredients are poured into a cocktail shaker along with ice. It is traditional to simply stir the drink, and then pour into the chilled glass. Some prefer to pour the cocktail over ice to keep it cold, however, many will argue that this will water-down the cocktail. Any way you chose to craft this sophisticated drink, a perfect Manhattan drink is simple, classic and the perfect cocktail when trying to impress. Keep your ingredients on hand, as you’ll love mixing up this libation anytime you have friends and family over for cocktail hour. 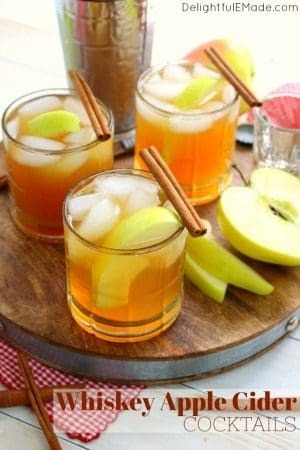 Try some other crowd favorites for a cocktail party! Martini Glass: These Martini glasses will make everyone feel posh even when just lounging in front of the tv. Angostura Bitters: A bottle of Angostura Bitters is something every home bartender should have in their cabinet. This set comes with aromatic and orange bitters to take your favorite cocktails up a level. In a cocktail shaker filled with ice, pour in the whiskey, vermouth, and bitters. Stir. Fit the cocktail shaker with a strainer, and pour into a cold cocktail glass. Add cherries for garnish. Enjoy right away while cold.